Who doesn’t love a good White Wedding?! 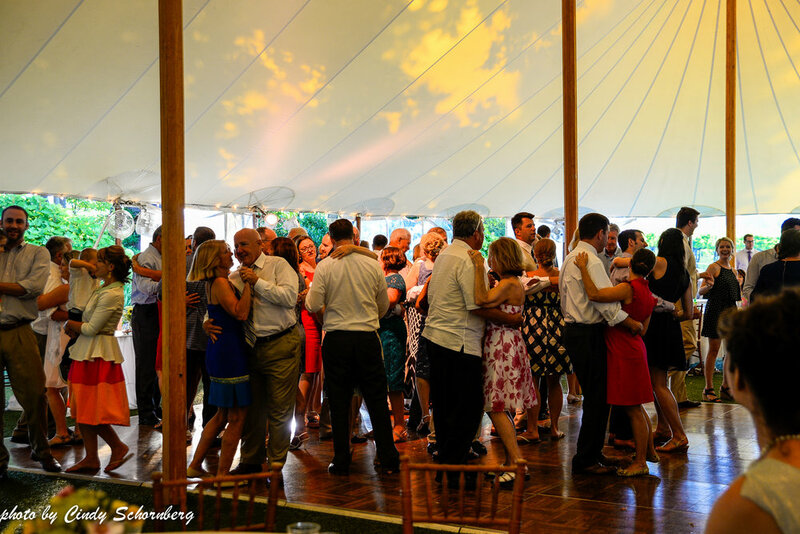 Katie and Carter, the new Mr. and Mrs. White were married here at Keswick Vineyards on July 16th. 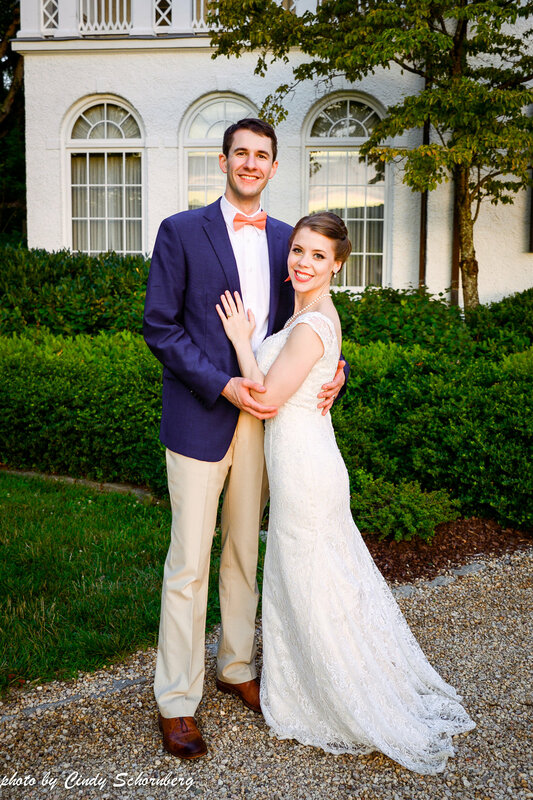 They shared the perfect Saturday with friends and family as they celebrated their love story with us right here in Charlottesville, VA. It had been a long time coming. Katie and Carter had been together for so long that when asked it simply seemed like forever. Tying the knot for them was a no brainer. In fact, tying the knot was such a no brainer that they incorporated the knot’s symbolism into their ceremony. There were three individual ropes, all of which were braided together to make for an even stronger strand. Together they can do anything and their bond will not break. After their ceremony, the couple and their wedding party snuck away for some unforgettable picture perfect photos. 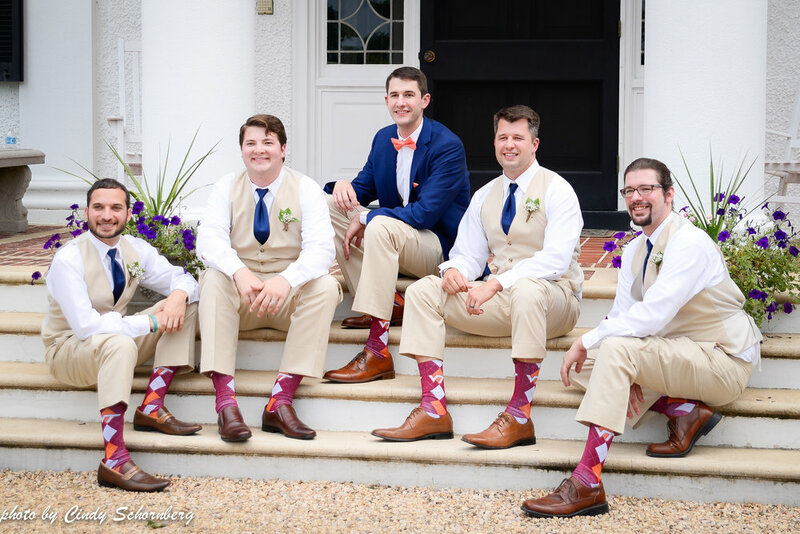 We caught one of the groomsmen sporting their matching Virginia Tech socks! 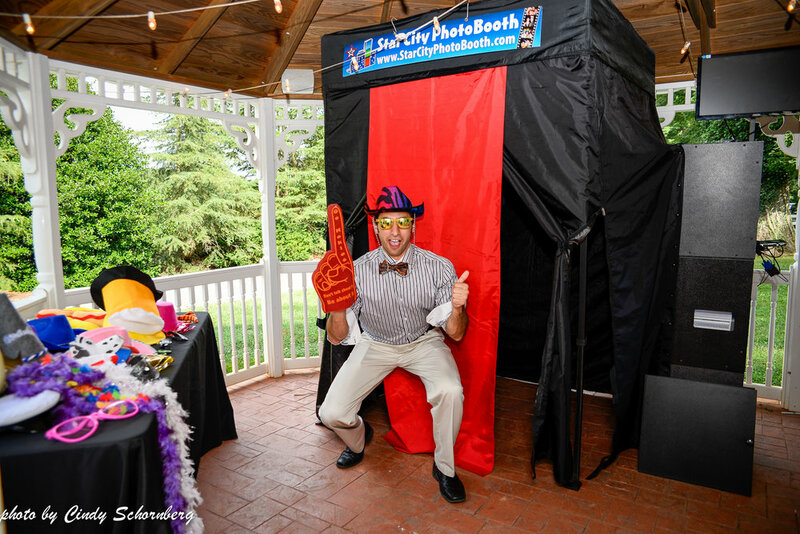 The fun continued with dinner and dancing and one of our favorite ways to utilize our gazebo…a photo booth! It always is a crowd favorite. 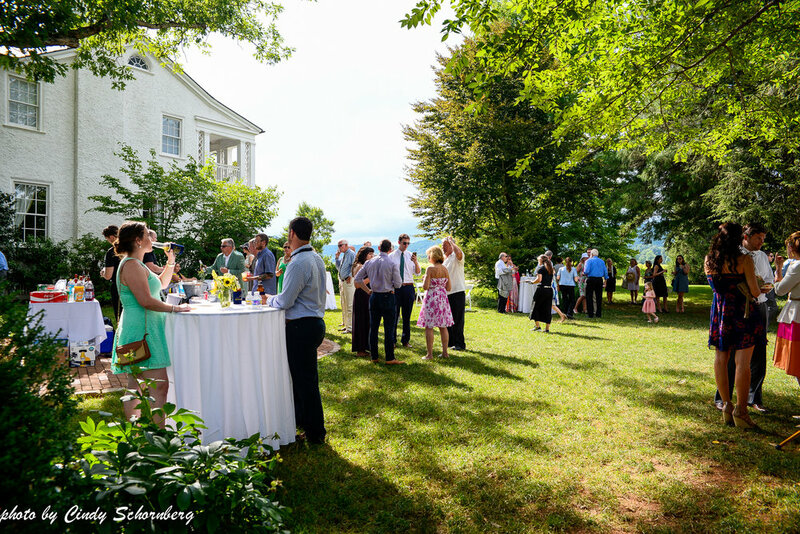 But what’s a White wedding without the views? 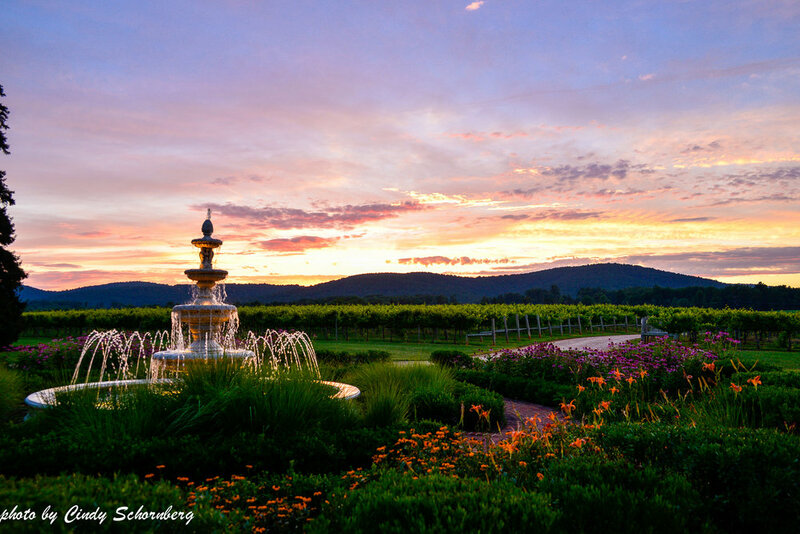 Katie and Carter were blessed with a bit of rain once guests were well under the tent enjoying their dinner and after it passed it led to an absolutely incredible (and colorful) Charlottesville sunset. They really lucked out! Congratulations to them as they continue on with their forever! Thank you to our vendors! Wedding planner, Megan Morgan. Caterer, Hank’s Smokehouse. Photography, Dominique Attaway Photography. Florist, Rask Florist. Photo Booth, Star City Photo Booth. Transportation, UT’s and Camryn Limousine. DJ, Kendall New. Hair, Ulta Beauty Salon.Officiant, John McGowan.